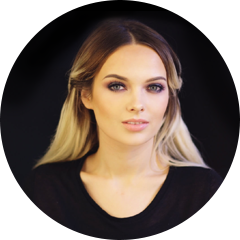 I'm never usually one for buying products on their launch day, but late last year on New Years Eve I headed to my local boots in the hope of having a glimpse at the brand new Real Techniques Bold Metals Collection. However, one thing led to another and I walked out of the store with four of the brushes... as well as a whole heap of other products. 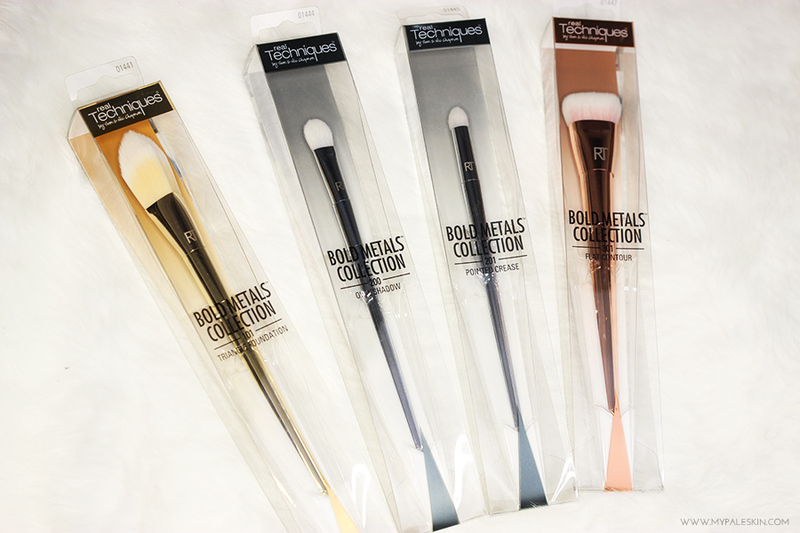 The Bold Metals flat contour brush retails at £22.00 which is a little eye watering for a single off the shelf brush that you purchase on a whim at boots. I understand that Real Techniques are going for a more high end, professional market with these brushes and the new design truly does reflect that. It's obvious to look at the design of the brushes that a lot of time, care and attention to detail has going into the new range, They have a gorgeous metallic finish, with soft white bristles and a weighted handle which is designed to help you use the brush to it's full advantage. Sadly, there's on thing for me that's letting this brush down, and that's the bristles.When I first saw the shape of the brush, I knew it had the perfect shape for carving out cheekbones and would certainly be useful for recreating that Kimmy K look... But here's the thing - the bristles are just too packed. I find that I have to use an awful lot more product to get it to take on the brush evenly, then on application, I find that the product applies, but in a harsh way.What I mean by that is, it's fairly static. You don't get any natural feathering with the brush and when I used it on a day to day basis, I actually found I needed to swap to a different brush to blend it out. I also sort of forgot this brush existed after a while. I forgot I bought it, and went back to using a small blush brush to apply my contour and actually got a better result. If I knew before purchasing it how difficult the bristles would be to work with - I likely would have picked up the Nars Ita Kabuki Brush which is a similar shape but it just has that bit of give to it which naturally feathers out your make up. I love Sam & Nic and think fantastic at what they do. I just wanted a little more than this brush could give. Have you tried any of the Real Techniques Bold Metal Collection? I'd love to hear your thoughts! Lovely picture:) These brushes are so stunning to look at but I don't think I'll buy them. I've had my eye on that NARS brush as well, looks amazing! 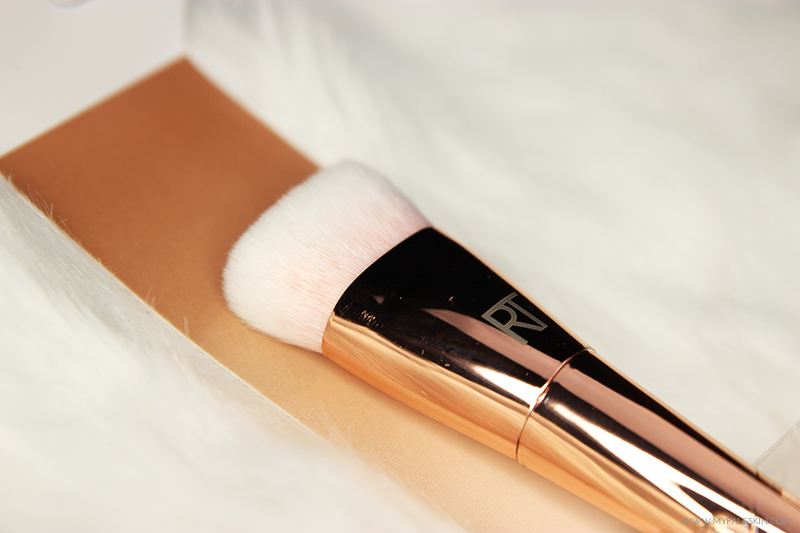 This brush looks so good, and so worth the money, even if they are a little more expensive, they're so pretty. it's a shame this brush didn't really work out for you, this was the one brush from the collection i really wanted to try as well! thanks for writing this post otherwise i probably would've gone out and bought it anyway! This is such a shame, the bold metals collection is absolutely gorgeous looking and real techniques are fast becoming one of my favourite brush brands. I was really interested in picking this brush up! I'm not impressed with the Flat Contour brush I keep leaning back towards my Nars ITA. 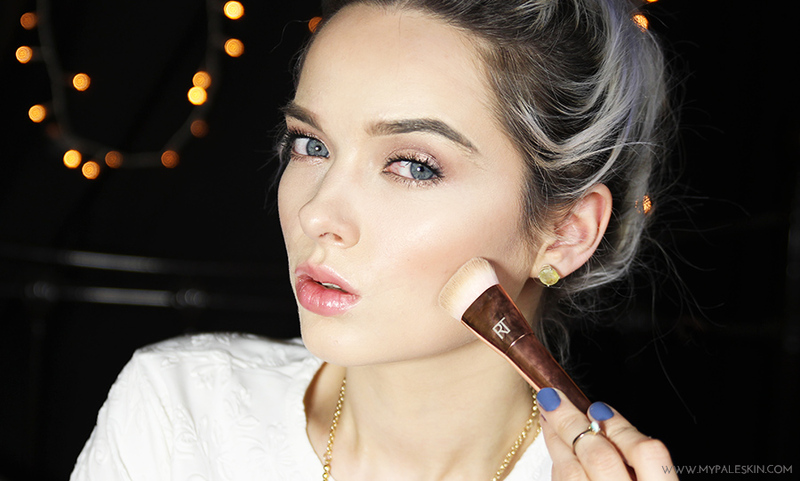 The contour brush is definitely the one that I'm most interested in! I've wanted this since I saw the launch photos, however if you didn't find the bristles easy to work then I may not anymore! It's a shame you didn't get along with them. They're so unbelievably pretty, I've been wanting to buy them for months now but I really can't justify the price! I love my original Real Technique brushes though so for now I'll quite happily stick with them. Thanks for such an honest review! Thanks for sharing your techniques .